Could there be a case where Grab driver's family could take Grab to court for their negligence in providing a passenger to a driver without having at least an NRIC number or Passport number as a safety precaution. Drivers pays Grab an amount of 20%-25% from the fares we got from passenger for each rides as a fee for drivers using Grab's apps for finding a rider. Drivers are not employed directly under Grab, drivers are customers of Grab who pays for their service. 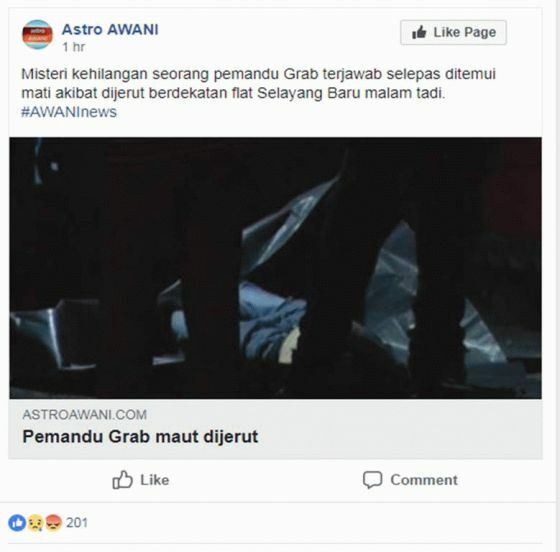 I hope to find some justice for the family of the late driver and for Grab to take drivers safety seriously. What is your relationship with the Grab driver?